We welcome all your questions. If you would like us to call please include your phone number. Take exit 280 for Elm Ave. Turn North onto S. Elm Ave. Turn left onto W. Lockwood Ave. 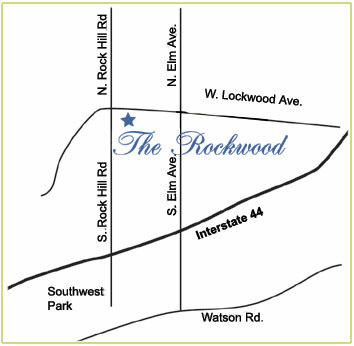 The Rockwood will be on the left after 0.4 miles. Turn left on Rock Hill Road then first left into our parking lot. Follow sign to main entrance. Take exit 30 for McKnight Rd and go South. Turn South onto Rock Hill Rd. Turn first left into our parking lot.